My name is Gabriela and well, I’m the goddess of InYourBones. lol!! I am so lucky that I can do what I love. I live in Mount Dora, FL. with my lobster. 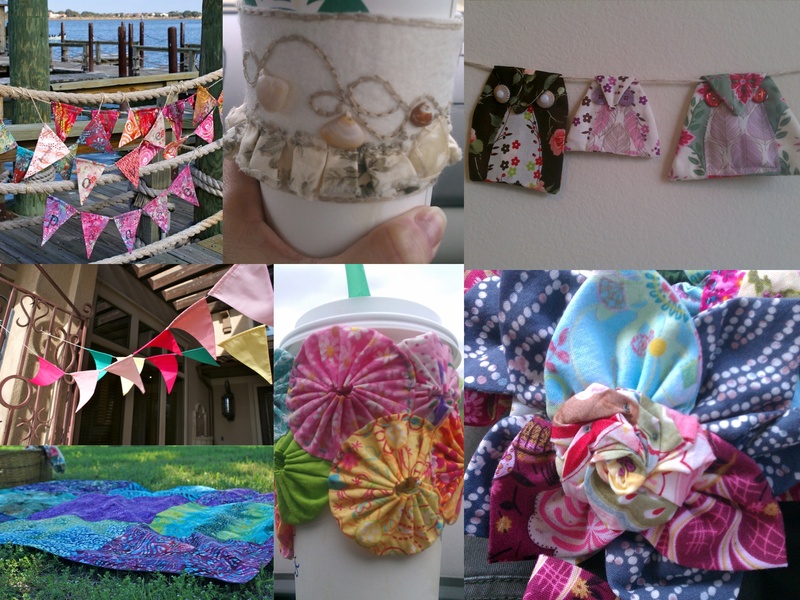 I spend most days sewing, whether it be indoors or outside by the lake (Lake Dora). When I’m not sewing, Jeff and I are on our BMW going from one end of the country and back. You can follow our trips at our little website (in-your-bones.com). All the while I take photos and use them in my shop to sell my bunting and other handmade items. I am always kind to the planet. I am into the 4 R’s Refuse, Reduce, Reuse, and RECYCLE. What’s your favorite crafting snack? Most everyday at 4:00 i enjoy mate with tortas fritas and a little dulce de membrillo. That’s “fried cakes” mate tea and quince fruit jam. 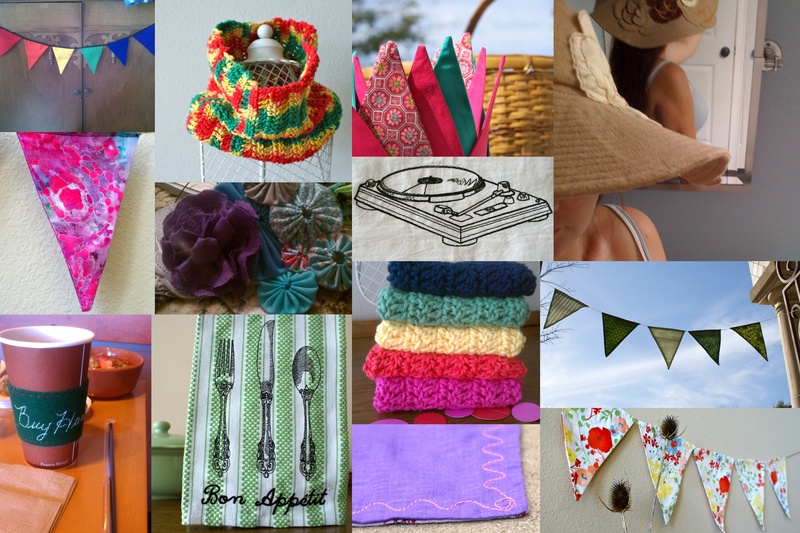 Visit InYourBones and see what you have to look forward to at the Spring Homespun Chic Marketplace on Sunday, May 6. We opened our shop almost three years ago after Kati (the sewer) made Amy (the computer girl) a coffee cozy for her birthday. Amy said, “I love these! We could sell them!” And the rest, as they say, is history. 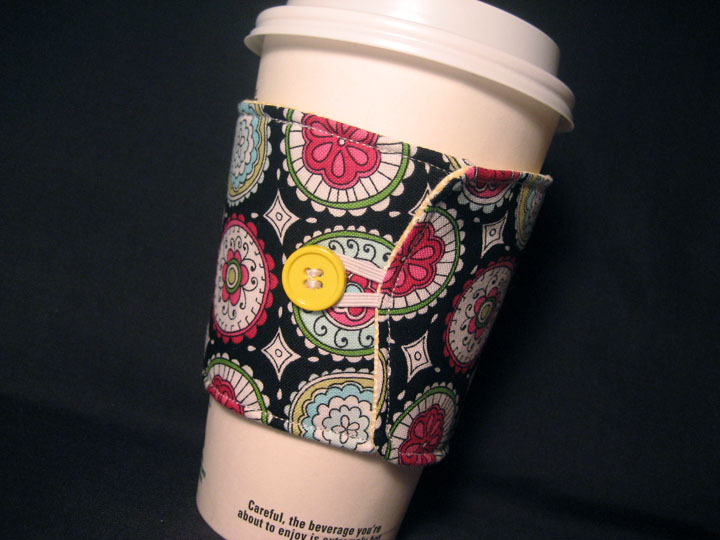 Since then, we’ve developed new products and have expanded beyond the coffee cozy. 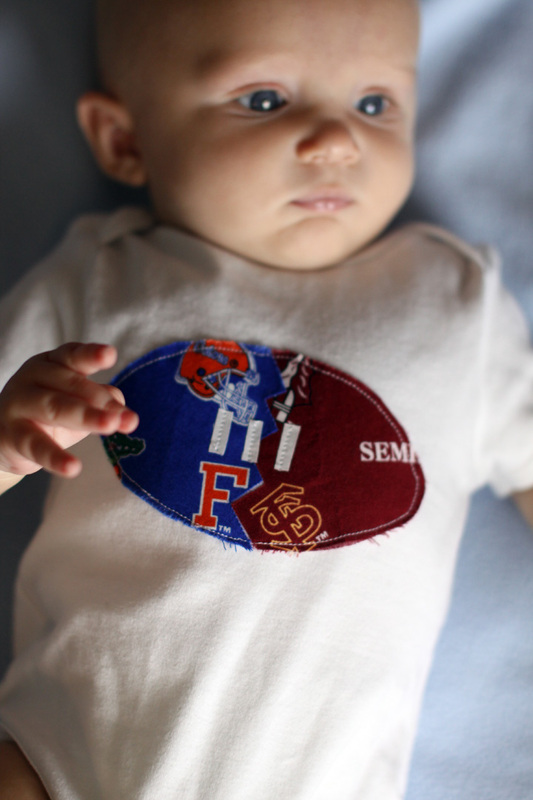 In addition to our first item, we now create gadget cozies, bean bags, onesies, shirts and hair clips. And, see that adorable little blond up there? 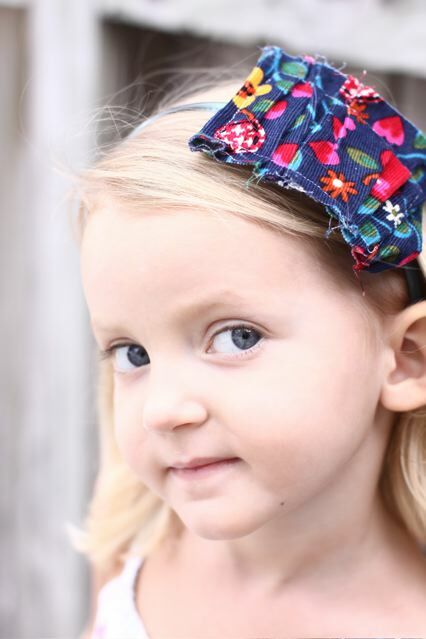 She’s sporting our newest product–messy ruffle headbands! We’ve participated in Homespun Chic Marketplace since the first show last fall and we’re now coordinating the show. We’re excited to see you there and look forward to meeting everyone! 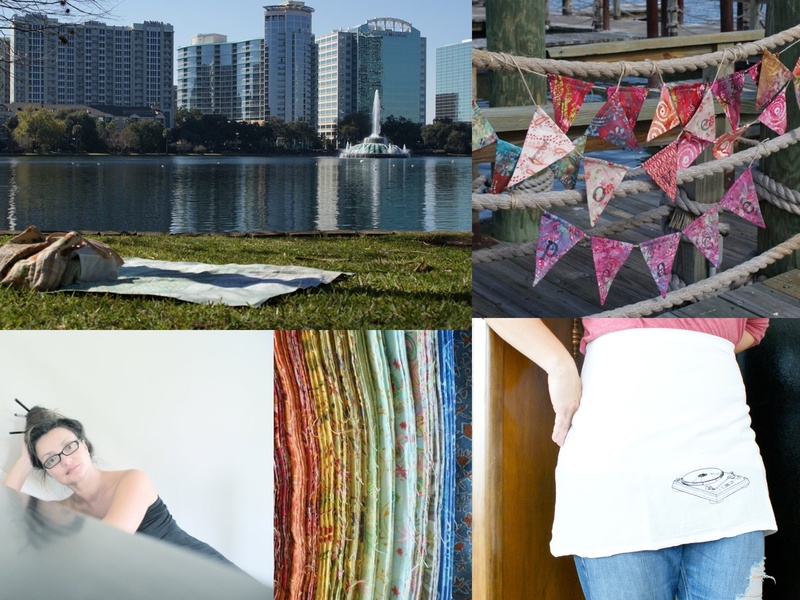 Visit Two Florida Girls and see what you have to look forward to at the Fall Homespun Chic Marketplace on Sunday, December 4.